The principality is always a tourists paradise.The fabled location; lying between the Alps and the Mediterranean sea creates a lure complemented by its world renowned hotels and casinos. If the glamour and wealth of the principality of Monaco do not suffice as an excuse for a trip, then the additional excitement created by one of the world’s grandest automobile races; Monaco Grand Prix should provide much more than a handful. If you are readying your bags for a Monaco tour this period of the Grand Prix, prepare for the goose bumps as the thrill is planted at every turn. Glamour and sophistication are two words easily associated with the Monaco Grand Prix. F1 supremo Bernie Ecclestone describes it as “a street race” were “people are right near the action and it's happening right in front of them, so it's a little bit special.” This is one event that can boast of having the town as its stage, a feeling that ensures the audience is not detached from life in the principality. Taking place between the 24th of May and the 27th May 2018, it is expected to live up to the billing. 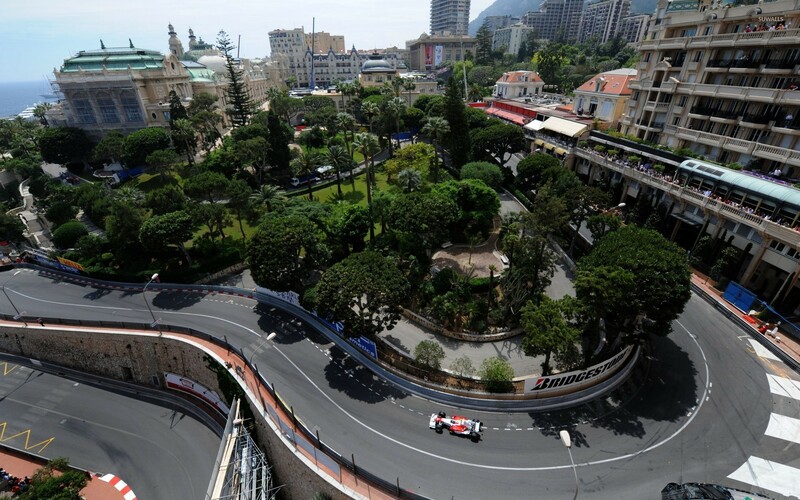 The buzz can also be attributed to Circuit de Monaco. It is the shortest F1 automobile racing track, a characteristic that makes it exceptionally spell binding and captivating. It’s fast bends, curves and turns make it the most demanding of the F1 races for participants. The circuit itself is a masterpiece that takes six weeks to build and includes both the fastest and the slowest bends of all the F1 tracks. The grand prix gives a one day break from the races. For the car race enthusiast, this is perfect timing to see monaco tourist places, but if you are not a car race junkie you have the whole weekend for this. One of my favorite destinations will be the Prince’s Palace of Monaco (Palais Princier). Located on a rocky headland, the Palais Princier is the official abode of the ruling Prince of Monaco and has been the home of the Grimaldi dynasty since the end of the 13th century. This palace is a blend of architectural styles and has a very ancient feel. It is a location you can not get enough of and almost literally takes you back in time. Another of my favorite Monaco tourist places are the gardens of Monaco. 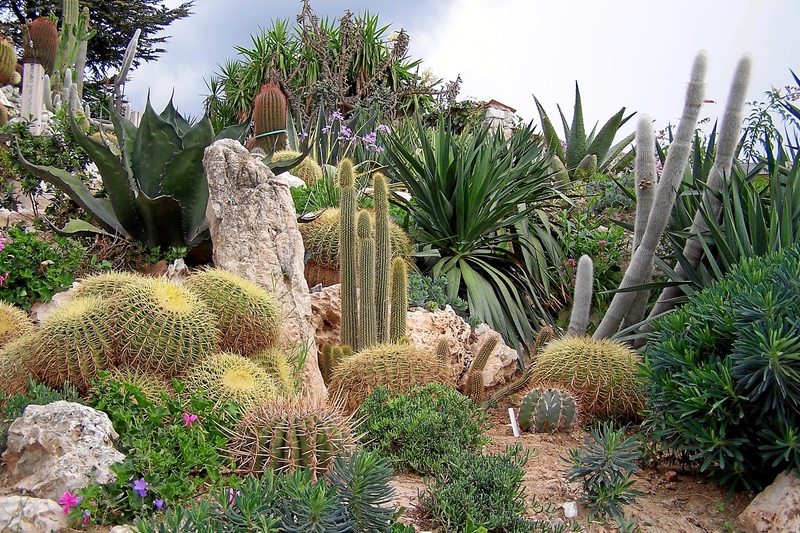 The exotic garden of monaco stands out as it presents a large variety of succulent plants. It is a spectacular site and always gives off an aura of quiet and tranquility. Something you will quickly observe is that the principality is a place of luxury, elegance, extravagance, fun and of course gambling, but the last bit has a twist as locals are restricted from use of the casinos by law. So for someone touring he can expect to meet a host of like minds and fun seekers from all over the world. Sometimes you get so addicted to the tracks and you find it hard taking a day off. The Grand prix makes sure on the one day free from the F1 race there is still a lot of fun right on the tracks. So if you can’t get your minds off the tracks for that single day, then seize the opportunity to see the F-2 race, you might do a track walk and there is a fans pitlane walk. And finally it is always good to make time for private tours in some amazing villages in the riviera. A visit to Vence & Saint-Paul de Vence or Grasse; the capital of perfumes will be a fulfilling venture. There is a lot to consider when preparing for this trip. Your clients needs are unique. We will assist in creating an exceptional itinerary with a variety of experiences, customized to make this trip more enjoyable for your clients. Our planned itinerary for your clients helps them discover Monaco in the most personal way.